Thanks to the Internet, I’ve become cyberfriends with spiritually mindful people around the world. Many of them reside in Australia. I’ve had the good fortune to discover healer and channeler, Janice Hunneybell. She has published two books of channeled material from the unlikely source of the American singer, John Denver. Things That I Believe In and All You Need is Love are delightful, filled with inspirational insights written with a strong John Denver voice, especially the first book. Of course, like many of us, “normal” had its ups and downs. She enjoyed a fair amount of “women’s intuition,” but wouldn’t have put herself in a psychic category. Moving to Australia with her husband and children in 1989 sent her into an emotional tailspin. She missed England and struggled to find her footing in her new home. After wallowing in despair for several months, one day she was thinking about how unhappy she was when she heard a male voice in her mind, asking, Are you going to be miserable for the rest of your life or are you going to do something about it? This was a new experience but she somehow knew this ‘voice’ cared and was challenging her to think differently, so she made a choice for change. Jan returned to study and later joined groups at a local healing center. One early morning in 1996 she awoke at 4:30 and heard a voice say, you can heal with these hands. Reiki soon came into her life – she didn’t know what it was, but knew she had to do it. After receiving treatments, she signed up for a Reiki I class and received the level one attunement. She became clairaudient. Poems poured into her mind. 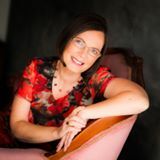 She worked with healing energy, studied healing modalities, attended classes, and followed her Higher Self inner wisdom. By 1997 she felt she needed to open herself to channeling. She received an energy treatment from her Reiki Master. “I felt like I was going through a birth canal,” she said. During an afternoon with her spiritual teacher, her first guide, Arthur, came through. He helped her calm the chatter of mind talk to be an effective channel. Arthur exemplified unconditional love. He shared his philosophy and became a treasured teacher. Later, on a trip to England she visited Glastonbury, the ancient home and burial grounds of the fabled King Arthur and Queen Guinevere. Walking the gardens she became overwhelmed with emotion and heard, I am Arthur, son of Uther Pendragon. Was her guide, Arthur, the spirit of the Arthurian legends? At any rate, the door to channeling opened in her mind. She received messages from many nonphysical beings, including some historical figures such as Mother Mary and St. Francis. In September of that year a medium told her to expect an American connection and saw a crashed biplane. On Sunday the 12th of October 1997 John Denver died when his two-seater plane crashed into the ocean off the coast of California. It was Monday the 13th in Australia. Six days later, Jan felt a spike of emotion, a huge smile spread across her face and she heard, good afternoon, it’s lovely to be here. 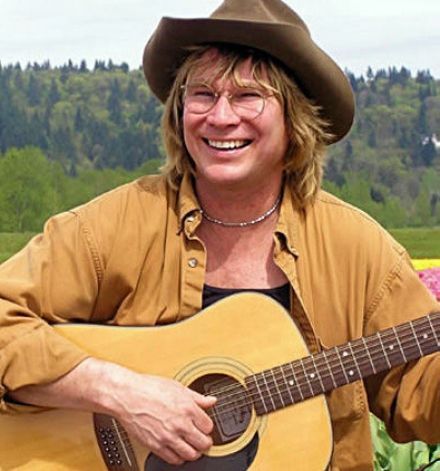 John Denver became a regular visitor, often giving her beautiful lyrics to songs. Through the mediumship of Janice Hunneybell, John, a singer, songwriter and environmentalist, communicates from beyond with the message that human consciousness continues after physical death. He shares his thoughts on life’s deepest questions – what happens when we die and why we are here – and talks about forgiveness, gratitude, fear and many other subjects in an informal but informative way, illustrating his message with personal examples. With the wisdom of hindsight, having looked back on the lessons of his own life and also having learned a great deal since his dramatic exit from the physical world, John gives his opinion on how to make the most of the life we have. Getting the book from a raw manuscript to publication was a learning journey. Much like A Course In Miracles that began merely being copied on copy machines and passed around, Things That I Believe In was first read by members of the Spiritualist Church in Melbourne in a similar manner. People began encouraging Jan to have it published and available to the mass market. With the rise of digital publishing, both books of JD’s words of wisdom and love are finding a global audience. All You Need is Love came through later with more pure information and less of the John Denver personality. When asked why much of the information came as voiceless words rather than in John’s voice, Spirit told her it took less energy to transmit the information that way. When she re-read the manuscript, John’s presence and voice was with her once more, adding additional insights as she reviewed what had been written – and reassuring her that these were his words. Both books offer inspiration and encouragement from beyond the veil for people to make the most of their time on earth. Jan continues her spiritual journey. JD appears to have moved on, but she has a growing healing and mediumship practice. Visit her Facebook site Janice Hunneybell — Inspired Thoughts to glimpse inside the mind of a gifted medium channel.